April 15, 2014 | ProgressTH Imagine a doctor's office where almost any illness could be diagnosed and treated in a single day. That is one of the possibilities synthetic biology may make possible. To explore this possibility, let's consider the "ReGen Center." 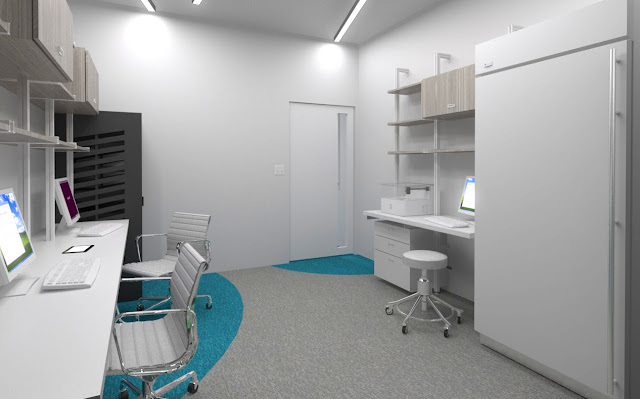 Perhaps a small practice, similar in size to a pharmacy, the ReGen Center would sequence and examine patients' genomes, keep them on file and when necessary, use them to formulate gene therapies. Let's imagine that breakthroughs in sequencing, reading, editing, and reintroducing modified genes into a patient make it as easy as computer coding... what sort of shift in healthcare and for that matter, in all of society could we expect? Enter the ReGen Center a local medical facility that might serve a few city blocks, much like a pharmacy does today, but offering therapies designed to target ailments on a genetic level. Currently gene therapy requires advanced facilities and elite teams of doctors and researchers to administer under experimental conditions. When this therapy is perfected, how might it be dispensed in the future? For one, the burden on hospitals would be reduced. Hospitals would still be necessary for dealing with trauma, intensive care, and surgical procedures that will be made possible with advances in regenerative medicine, but gene therapies for cancer, diabetes, and for preventing age related deterioration would leave a great number of beds empty. This will allow hospitals to reorganize and consolidate their strengths - freeing doctors up to focus on research and development. 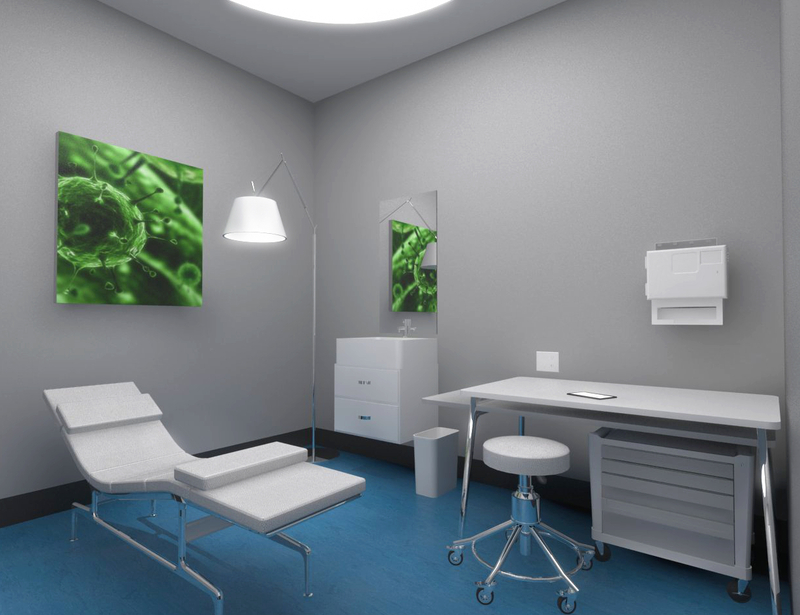 We could imagine some of the unused space in future hospitals being re-purposed as biomedical FabLabs, or for educational purposes. Less crowded facilities would also allow those laid up in hospitals to enjoy a greater quality of care and comfort - essential for a speedy recovery. You're not feeling well, and haven't been for over a week. You can't eat, and have no energy. You walk down the street and enter the ReGen Center. 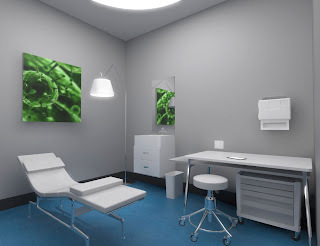 After checking in, you sit in the waiting room while a licensed synBio practitioner brings up your full genome taken a year ago when you were in perfect health. You are brought into an examination room where a blood sample is taken and run for both sequencing and to test for abnormal gene expression. You are asked to wait for 15 minutes for the diagnosis and course of action. The practitioner comes back with some bad news and some good news. The bad news is that you have cancer. The good news is that there exists a well established gene therapy and reliable vectors to quickly and permanently cure it (gene therapy has in fact, already been used to cure certain types of blood cancers). You are asked to come back in 2 hours, or if you like, the next day so that your treatment can be synthesized with an in-house DNA printer from an open digital database of existing vectors and therapies. You opt to take a walk and return later that day where you receive a single shot and a date for a follow up exam. Two weeks later, after mild flu-like symptoms, you are given a clean bill of health. No chemo, no radiation, no life or death struggle stretching over months or years. Behind the reception area, and across from the examination rooms are workstations for sequencing, editing, storing, and synthesizing genes, gene therapies, and the vectors to deliver them. For conditions that require treatments not readily available at the ReGen Center, a genetic component database can be searched. Part of MIT's iGEM competition is in fact just such a database. Called BioBricks, they form a collection of components that can be used for creating synthetic organisms. For now, these BioBricks are used primarily in bacteria and yeast. In the future such repositories may include more complex components and even entire organisms, vectors, and therapies. Right now, and just as it was at the beginning of the IT revolution, large companies and institutions are driving much of the progress in synthetic biology. As tools become cheaper and the user base becomes wider, we can expect these open databases to grow and evolve. We can already see the stepping stones emerging from beneath and leading the way toward facilities like the ReGen Center. A workstation with DNA printer. Now, synthesizing DNA is mostly done by large companies with the resources to own and operate oligonucleotide synthesizers. They are large, complex, and expensive, and require skilled technicians to operate. But these are already being scaled down and made cheaper and easier to use. A team at Systems Biology created an open source oligonucleotide synthesizer utilizing ink jet printing components and motion control used by many CNC hobbyists. Other companies are dreaming of one day creating desktop DNA printers along with the software to manage both the printing and the growing library of sequences one will accumulate once the printing is finished. Imagine a Thingiverse or a SketchUp 3D Warehouse for synthetic biology. Other organizations like the Venter Institute are working on "biological teleportation," which involves the conversion of genetic information into digital information which can then be sent around the world (or beyond) at the speed of light and as easily as we now send e-mails. This would be an important step in establishing an open database of therapies ReGen Centers around the world would access and use to treat patients. 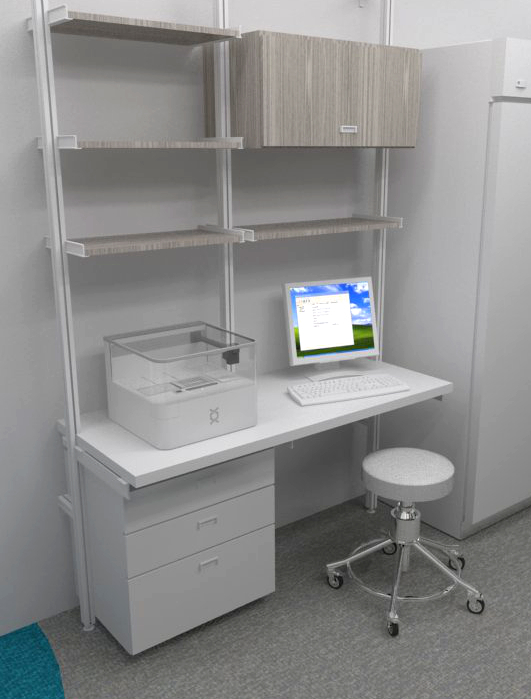 We can see then how these breakthroughs may lead to workstations like those imagined in the ReGen Center where sequencing, synthesizing, and sharing treatments can take place from a single desktop. It will be these sort of advances that make concepts like the ReGen Center a reality. It will also require advances in computing power and its application in genetics, the continued growth of the field of pharmacogenetics and gene therapy, and the continued evolution of the synthetic biology community through annual contests like iGEM and the increasing number of conferences and activities coordinated by organizations like SynBioBeta and SynBerc. We can imagine a lot of important breakthroughs also being made in DIYbio labs like New York City's Genspace or California-based BioCurious, where the foundation of open and accessible synthetic biology is being laid. And it is at the local DIYbio lab that most of us can find a way to contribute to this promising field and the many concepts it may help become an integral part of our lives. Next in Concepts in Synthetic Biology, we will revisit an old idea -- that of the Bioshelter and the possibilities of engineered, synthetic ecosystems and ways to both protect them and the planet's natural ecosystem with genomic repositories, and genetic "rebooting." For more images of the ReGen Center, check Helios Works' portfolio.